Incorporated in 1945, Katy, Texas, was settled far earlier than that and was located directly on the San Felipe Road that led from Harrisburg to San Antonio in the 1800s. Today, Katy is one of the most important and fastest growing communities in the Houston metropolitan area. The hot and humid summers typical of this area make reliable climate control a priority concern for residents of Katy and the surrounding region. 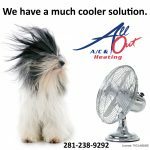 At All Out A/C & Heating, we specialize in providing Katy air conditioning repair and replacement services designed to help homeowners stay comfortable all year around. While new homes and master-planned developments abound in the Katy area, older homes add to the historic charm of this fast-growing community. The technicians at All Out A/C & Heating can provide expert help in keeping older HVAC systems operational. If your heating and cooling equipment is on its last legs, we can provide you with replacement options that suit both your budget and your cooling needs. Our Katy HVAC repair team is ready to take on the challenge of restoring your home to comfortable temperatures during every season of the year. If needed, the expert technicians at All Out A/C & Heating can provide you with recommendations and guidance on selecting a new air conditioning unit or integrated HVAC system. 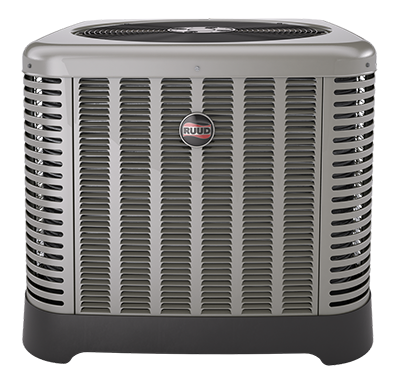 We are authorized dealers and installers for Trane and Ruud heating and cooling equipment and can provide you with high-efficiency replacement systems designed to suit your home and your budget. 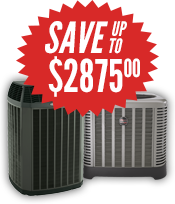 All Out A/C & Heating can even arrange for 100 percent financing on your new system to lessen the impact on your finances while ensuring the greatest degree of comfort this summer. At All Out A/C & Heating, we are proud to serve Katy residents with the most cost-effective and dependable array of air conditioning repair services. We are committed to helping you keep you cool all summer long. Contact us by telephone at 281-238-9292 to discuss your repair or replacement requirements with one of our expert AC technicians. We look forward to the chance to serve your Katy HVAC repair needs.